December 29th huh? Well that gives me time to get some Christmas money bahaha! 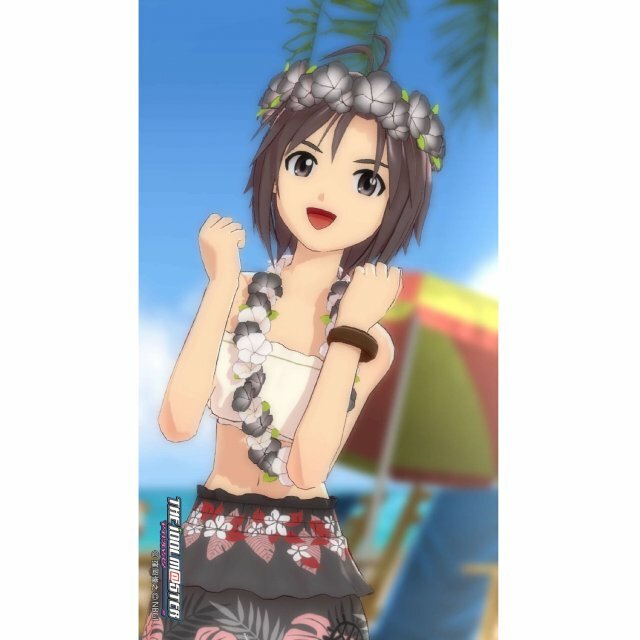 I was thinking of waiting for one to come that I'd really want as well but unfortunately for me, Haruka is on the cover for the first one so I had no choice but to get the limited edition because I MUST have it. Summer casual should be interesting.. does anyone know what volume 4's theme is? That's the one with Takane right? I heard that there's going to be NINE volumes, is that right? ...does anyone know what volume 4's theme is? That's the one with Takane right? Just updated the first post with a bit of info like release dates and content. Will continue to update. Thanks! I guess it really is Hawaiian themed! ...and there really is going to be nine of them huh... that's over $1000 altogether! Well, there's been 9 announced. Who knows what else might happen. Plus, I wouldn't be surprised if every idol got there own cover which, of course, means there will be more than 9. Ah, Bandai, you make me laugh. Fast forward a bit and in the newest blog post, they say G4U Volume 2 is going to have a second print run. So! If you didn't pre-order Volume 2 and your favorite importer/store is out, just wait until early December when additional copies will hit the market. Namco Bandai have proven time and time again that you can't trust a word they say. As long as it's in our favor, and making it more likely that I can complete the collection is definitely something I'll take. Wowww, a thousand dollars.. It's SO tempting to complete the collection and of course when you don't think about it altogether it's like a 120 bucks a month.. But still, it's quite a bit of money. I'm kinda glad that they're doing a re-run but not at the same time because now I'm going to want to buy volume 2 just so 1 isn't left by itself. Every time I think of G4U I have to try and tell myself to be strong and just hang out for the one (maybe two) that really appeal to me. That being said, I really want them all. I'm trying to hold out as well.. I guess it's good they're doing a re-run actually so that we can see all of the versions that come out the first time around then when the second run is released we can just pick the one we want. I agree with DereDereAngel that you can sell the second copy. It's going to be shrinkwrapped and factory sealed (even after you unwrap the plastic for the limited edition box itself), so that will help you. I find it a bit strange that executing an action/request centers the camera, but otherwise it's a small gripe. I see why it's that way, as it's ideal to have the camera centered towards taking a picture. I have the same gripe. It should have been a choice in the options menu to disable it, since I might want a specific angle to anticipate a new pose but I'm forced to reset to front-and-center. You'll open the G4U case eventually, right? ^^; Though I guess if you're that type of collector, you'd never want to sell it even if you may never open it to play. I splurged on the Special Box so I have volume 1 of G4U!. It's super cute, but I don't know if I'm that addicted to get the rest of the 8 volumes (~$1000 price tag is definitely hefty). Too bad it's not in Namco's favor to release a final compilation of all 9 games at the very end in one disc. Also, if they're going to go all out and take our money, I'd like to see a box to hold all 9 volumes of G4U! since they expect us to get all 9 volumes of the anime Blu-ray to fill this first box. 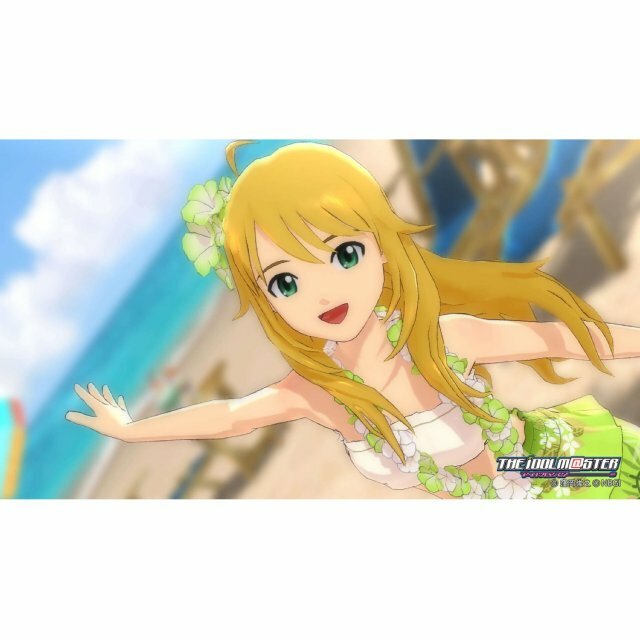 Based on the Play-Asia screenshots, it looks like the beach background from Volume 1 is re-used, but the girls just get to wear Hawaiian-themed stuff. Amiami just charged me for Volume 2, so I should be expecting that in a few days. LOL, I've resorted to selling my possessions before because I felt bad for buying expensive merchandise. Glad to know I'm not the only one! Haha.